No matter the size or type of your business, or the industry that you are in, you can lean on our waste and recycling expertise. 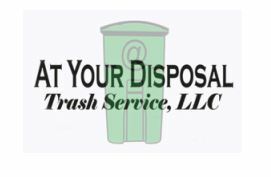 We’re committed to what we say we will do, and our trained Waste Stream Advisors can help determine which combination of services will best satisfy your waste and recycling needs. Republic Services, Inc. is a provider of services in the domestic non-hazardous solid waste industry. Its operations primarily consist of the collection, transfer and disposal of non-hazardous solid waste. The Company provides non-hazardous solid waste collection services for commercial, industrial, municipal and residential customers through 400 collection companies in 40 states. It also owns or operates 242 transfer stations, 213 active solid waste landfills and 78 recycling facilities. As of December 31, 2008, its operations were organized into four regions: Eastern, Central, Southern and Western. Each of the Company’s regions and substantially all its areas provide collection, transfer, recycling and disposal services. In December 2008, Republic Services, Inc. and Allied Waste Industries, Inc. announced that they have completed their merger to create a waste and environmental services provider. The combined company is named Republic Services, Inc.